Dr. Dinesh Gooneteilleke Samarawickrama's latest Sinhala novel Mandanila was launched at Dayawansa Jayakody Book Exhibition Hall, Colombo 10 yesterday. 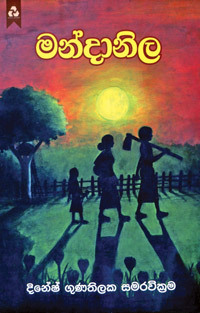 The novel is based on real life experience gained by the author living in a remote village in the Hambantota district. The story revolves around a villager who is suffering from schizophrenia and his family members. Mandanila is a Dayawansa Jayakody publication. Surya Grahana and Chandra Grahana (Solar and lunar eclipses) authored by State-award winning science writer and astronomer Anura C. Perera will soon be released by Nugegoda Sarasavi Publishers (Pvt). 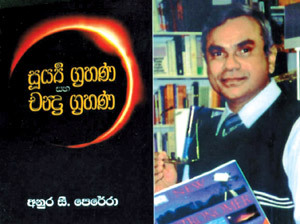 Perera pioneered efforts to educate Sri Lankans on the impending 'Annular Solar Eclipse'. The book is about the solar and lunar eclipses which will be visible to the human eye. It captivatingly contains information on human attitudes to eclipses from primitive ages, solar and lunar eclipses we seen since then, the annular solar eclipse approaching the eye after 109 years, the secrets behind solar and lunar eclipses and a special article from Perera on the total solar eclipse we saw in 1955. Illustrated by numerous photographs, the book is available at an affordable price. The Head of Sarasavi Publishers Premasiri Haputhanthri says that an office named 'Solar Eclipse Information Centre', providing free of charge printed information, maps and photographs on the annular solar eclipse, will be open to the public at Sarasavi Building at Nugegoda. 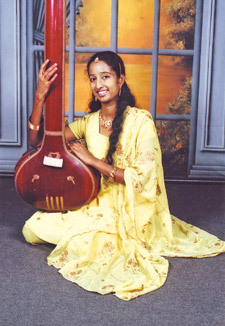 Asha Gee Sara takes stage at Kelaniya University Shri Dharmaloka Convocation Hall on January 13 at 6.30 p.m. It is Kelaniya University Performing Arts (Special) undergraduate Sangeeth Visharad Asha Vijayanthi Weerasinghe’s one-woman concert, featuring new and light classical songs. All are invited. A past pupil of Kolonnawa Balika Vidyalaya and Colombo Devi Balika Vidyalaya, she is currently preparing for Sangeet Nipun examination. She is the winner of the Kalashoori Award at Devi Sara Saru Saraniya 2004 Arts Festival, the Best Singer Award at Manjusawa 2006 concert organized by Kelaniya University Student Association and the first place in classical singing at the University’s Bihi Dora Abiyasa 2009 Arts Festival.